Stephan Burián von Rajecz (Hungarian: rajeczi gróf Burián István) (16 January 1851 – 20 October 1922), commonly called: "Baron von Burian" or, later, "Count Burian" in English language press reports; (titles from 1900, Freiherr; from 1918, Graf) was an Austro-Hungarian politician, diplomat and statesman of Hungarian origin and served as Imperial Foreign Minister during World War I.
Stephan Burián von Rajecz was born in Stampfen (now Stupava) on 16 January 1851 into an ancient Hungarian noble family in what was then Upper Hungary (now Slovakia). In 1891, he married Olga née Freiin Fejérváry von Komlós-Keresztes (1861–1931), a daughter of General Géza Freiherr Fejérváry von Komlós-Keresztes, who briefly served as Hungarian Minister-President. Burián entered the consular branch of the Austro-Hungarian foreign service following graduation from the Consular Academy. He subsequently served in Alexandria, Bucharest, Belgrade and Sofia. From 1882 to 1886 he headed the Consulate General in Moscow before being appointed as consul general in Sofia from 1887 to 1895, then served as minister in Stuttgart from 1896 to 1897 and in Athens from 1897 to 1903, which won him a reputation of a Balkan expert. In 1900, he was raised to the rank of Baron. In July 1903, Baron Burián was appointed by Emperor Franz Joseph I to serve as Joint Finance Minister of Austria-Hungary, replacing the deceased Benjamin Kállay von Nagy-Kálló who had held the post since 1882. While the Imperial Finance Ministry only was responsible for the financing of common aspects of the Dual Monarchy, i.e. the Foreign Policy, the Army and the Navy), the administration of the Condominium of Bosnia and Herzegovina fell under his responsibility following the annexation in 1908. Burián administered the two territories with a relatively mild hand and attempted to provide the population with a greater voice in the imperial administration. His conciliatory approach, however, failed to calm the country and only earned him the wrath of fellow bureaucrats. Burián left the post in February 1912 as he was finding it increasingly difficult to reconcile the various factions. In June 1913, Baron Burián was appointed minister besides the King of Hungary, i.e. the Hungarian minister to the Court of Vienna, the closest connection between the Court of Vienna and Budapest. In his position of Hungarian emissary to Vienna, he successfully mediated between Foreign Minister Count Berchtold and the Hungarian Minister-President Count Tisza during the July Crisis. In January 1915, Austro-Hungarian Foreign Minister Count Berchtold was pressured by Germany to make territorial concessions to Italy as the price of securing that country's neutrality. When he acquiesced to the German proposal, he was forced from office on 13 January by hardliners. Baron Burián's name was put forward by Count Tisza, who was a close friend and ally, as Berchtold's successor which was accepted, albeit reluctantly, by Emperor Franz Joseph. A relative moderate, he initially resisted German pressure for territorial concessions as the price of maintaining Italy's neutrality, although he somewhat vacillated towards the end as Austro-Hungarian forces suffered a crushing defeat with the surrender of Przemysl in March. This did nothing, however, to prevent Italy from joining the Entente in May 1915 and declaring war. Considered a protégé of Count Tisza, he proved to be much steadfast in resisting German pressure as regards territorial concessions to Romania at the cost of Hungary. This led to Romania entering the side of the Entente in August 1916. Baron Burián resisted the plan to offer vast amounts of territory to Bulgaria but he did win Bulgaria to the side of the Central Powers in October 1915 and provided for stronger ties with Turkey. Baron Burián insisted that Germany treat Austria-Hungary as an equal in all military, economic and political activism, which only antagonised German opinion. He opposed Germany’s policy of unrestricted submarine warfare, insisted on retention of Austro-Hungarian control on the Balkan front and demanded recognition of Austro-Hungarian interests in Poland. However, he increasingly lacked the material resources to back up his claims for equality with Germany. He further angered Germany and its military leaders by proposing a peace plan that called for the re-establishment of a free Belgium and the return of all captured French territory in exchange for recognition of German and Austro-Hungarian rights in Eastern Europe. As a result of this peace proposal, he was forced to resign in December 1916, which reflected the extent of German control over imperial policy. He was replaced by Count Czernin and returned to serve as Imperial Finance Minister. Following the Sixtus affair, the position of Count Czernin had become untenable and on 15 April 1918, Baron Burián was recalled by Emperor Charles I to serve as Imperial Foreign Minister again, with instructions to negotiate an end to the war on favorable terms. Burián sought a compromise peace settlement, a course he had consistently advocated, but the Habsburg Empire’s deteriorating military situation provided him little margin for manoeuvre facing increasing disputes with the German ally. On 14 September 1918, Baron Burián issued a public appeal for all nations to end the war by diplomatic negotiations. On 5 October, he and the German Chancellor requested President Wilson's participation in peace negotiations on the basis of the Fourteen Points. Within weeks, he recognized the weak state of the Hapsburg army and that Germany would not agree to the unconditional surrender demanded by the Allies. He resigned from office on 24 October, realising that nothing could prevent the dissolution of the Habsburg Empire. He was succeeded by Count Julius Andrássy the Younger and thus became the penultimate Foreign Minister of the Dual Monarchy. In 1918, Burián was elevated to the rank of Count (Graf). In the same year, he was invested as a Knight of the Order of the Golden Fleece. He had been bestowed with the Grand Cross of the Order of Saint Stephen in 1910. Count Burián took no active part in diplomacy or politics after the war and spent his remaining years writing his war memoirs, which were published posthumously in German as Drei Jahre aus der Zeit meiner Amtsfuhrung im Kriege in 1923. The English language version, Austria in dissolution; being the personal recollections of Stephan, count Burian, was translated by Brian Lunn, M. A. and was published in 1925. 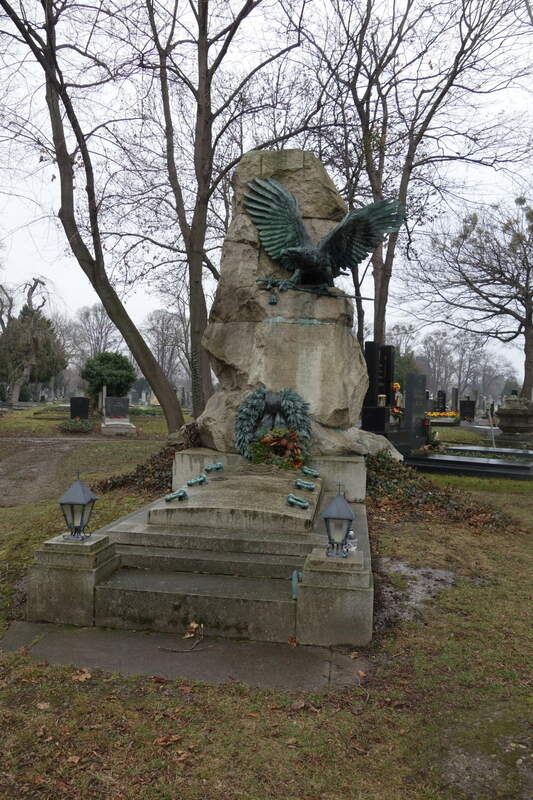 Count Burián died on 20 October 1922 and is buried at the Vienna Central Cemetery. During the war, Count Burián had sought to balance several sometimes conflicting demands; winning the war, preserving the Austria-Hungary's status and defending Hungary's position within the Dual Monarchy. Certainly a task that was nothing short of overwhelming. Considered to be serious, legalistic and unimaginative, personal traits that made him a good fit for the bureaucracy and the Imperial Cabinet. However, his rigidity and pedantry likely made him a less suitable choice at the helm of Austro-Hungarian diplomacy at such a decisive period as World War I with a greater need for flexibility according to one historian. The author of the 2014 book,Austro-Hungarian War Aims in the Balkans during World War I, Marvin Benjamin Fried of the London School of Economics and Political Science, offers a similar, but more favourable evaluation. "Although he was criticized as being doctrinaire, inflexible, and a Balkanist without a wider purview, Burián had a clear vision to protect Austro-Hungarian prestige, integrity, and power, which he was determined to uphold in face of compounding internal and external pressures." Regarding personal names: Until 1919, Graf was a title, translated as Count, not a first or middle name. The female form is Gräfin. In Germany since 1919, it forms part of family names. Drei Jahre: Aus der Zeit meiner Amtsführung im Kriege, Berlin, Ullstein, 1923 (translated by Brian Lunn, Austria in dissolution: being the personal recollections of Stephan, Count Burián, London, E. Benn, 1925). ^ 'Burián v. Rajecz, Stephan Graf', Neue Deutsche Biographie, vol. 3, Berlin, Duncker & Humblot, 1957, p. 52. ^ 'Burian von Rajecz Stefan Graf', Österreichisches Biographisches Lexikon 1815–1950, vol. 1, Vienna, Verlag der Österreichischen Akademie der Wissenschaften, 1957, p. 129. ^ 'Burian von Rajecz Stefan Graf', op. cit. ^ Spencer C. Tucker (ed. ), The European Powers in the First World War: An Encyclopedia, New York, Garland, 1996, p. 153. ^ Graydon A. Tunstall, Jr, 'Austria-Hungary', in Richard F. Hamilton & Holger H. Herwig (eds. ), The Origins of World War I, Cambridge, Cambridge University Press, 2003, p. 120. ^ 'Graf István Burián von Rajecz', op. cit. ^ Hollander, Neil (19 December 2013). Elusive Dove: The Search for Peace During World War I. McFarland & Company. p. 178. ISBN 0786478918. ^ Stephen Pope & Elizabeth-Anne Wheal, The Macmillan Dictionary of the First World War, London, Macmillan, 1995, p. 93f. ^ Fried, Marvin Benjamin (26 July 2016). "Burián von Rajecz, István, Graf". International Encyclopedia of the First World War. Freie Universität Berlin. Retrieved 29 August 2018. ^ Holger H. Herwig & Neil M. Heyman, Biographical Dictionary of World War I, London, Greenwood Press, 1982, p. 102f. ^ Morrow, John (5 October 2003). The Great War: An Imperial History. Basel: De Gruyter Oldenbourg. ISBN 0415204399. ^ Pope & Wheal, op. cit. ^ Spencer C. Tucker & Priscilla Mary Roberts (eds. ), Encyclopedia of World War I: A Political, Social, and Military History, Santa Barbara, ABC-CLIO, 2005, p. 243f. 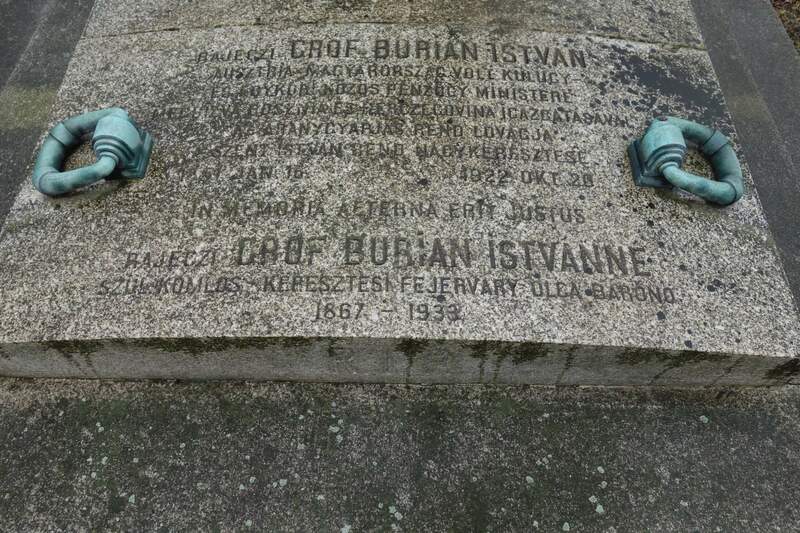 ^ For more on Count Buriáns personality traits and his legacy, see István Diószegi, 'Außenminister Stephan Graf Burián. Biographie und Tagebuchstelle', Annales Universitatis Scientiarum Budapestinensis de Rolando Eötvös nominatae, Sectio historica, no. 8, 1966, pp. 169-208. István Diószegi, A ballplatzi palota utolsó gazdája, Kortárs, 1966. Gusztáv Gratz, A dualizmus kora, 1867–1918. Pribram, Alfred Francis (1922). "Burian von Rajecz, Stephen, Baron" . Encyclopædia Britannica (12th ed.). Marvin Benjamin Fried: Burián von Rajecz, István, Graf, in: 1914-1918-online. International Encyclopedia of the First World War. This page was last edited on 2 April 2019, at 14:36 (UTC).